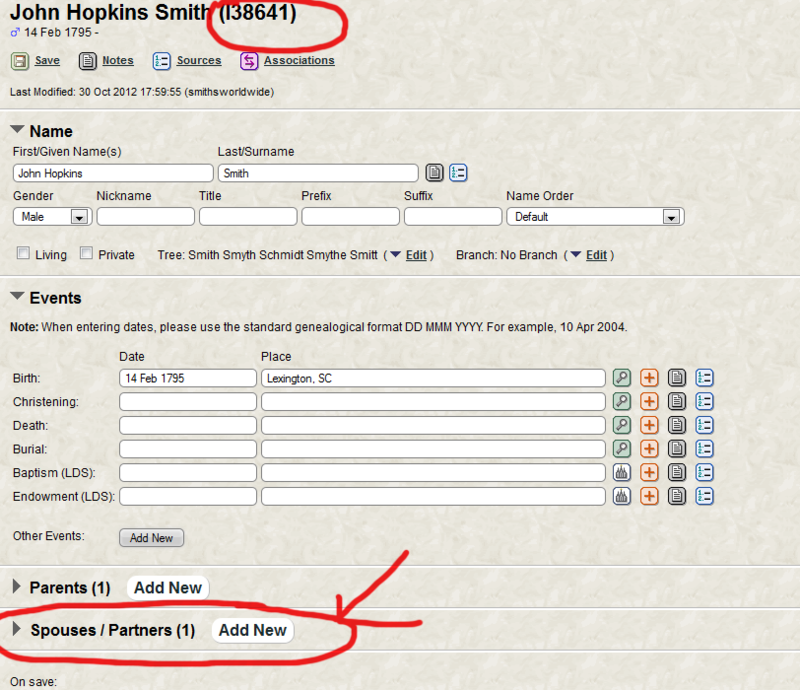 Come Join the Smith Official DNA Project at FamilyTreeDNA with a DNA Kit! Generally, the Smiths DNA project is accepting members who have supplied a tree, which is part of one large master tree (for collaboration and sorting out Smiths purposes) . What we do is create a brief descent line before approving your registration, and assign permissions to that *branch*. This is so that you, as person who knows your line best, can have full control over what gets added or changed; others can only *suggest* changes. In cases where there are multiple people on the same line, we attempt to assign a *contact person* for the line that has all editing rights and others can full edit their particular branch of that tree. There is only ONE tree with many branches, as opposed to a whole bunch of trees that are duplicates-if someone else is of the same tree as you, we will either start you at your individual *branch* or see if you want to collaborate with the other person. So, new people are added to the branch that already exists to your line and that you have permissions for. In general, that will not be for earlier ancestors, so if you find that you can go back some generations, let us know and we’ll fix the permissions. A record number that starts with an *I* is for individual, *F* is for the family. Once you have a family, you can add children. If there are already children, click CREATE by New children under the listing for the child that is already there. Again, we suggest you do a FIND first just in case the child is already on the system. Who knows? Might be a match to tie your family lines together! Be sure to always save your information and close the page. These are INTERNET web pages and thus you may not see changes to your page UNTIL you refresh it or *Test* it. You can *test* the page to see what the family looks like. 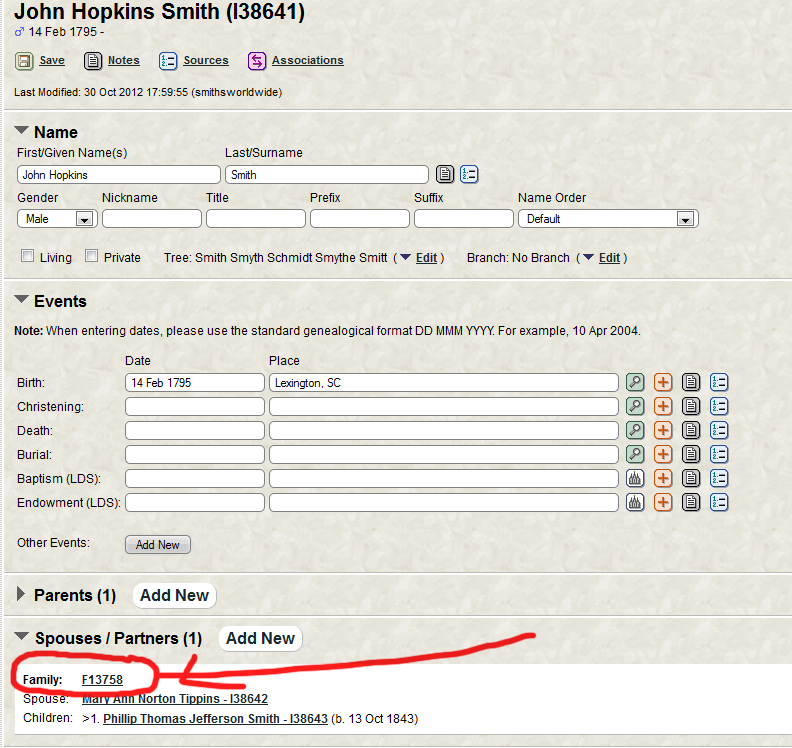 This is an example of a family sheet that does not show all the detail. From this page to see the detail on that person, including families, click the link for his or her name. Example. TNG is based on web pages, so you know how when you open a web page, you might not see changes until they are refreshed. Therefore, look at the options on the bottom of the editing pages, if you have extra pages open, be sure to close them after you finish and also refresh or test your page to make sure it looks like what you want.